I’ve heard it over and over. I’ve even said those words to fellow business owners, but it took almost a decade in business before I finally found a way to make it happen. Blog anxiety is real, but I’ve figured out a way to overcome. Like most things in my life, a methodical approach has been my ticket to success. 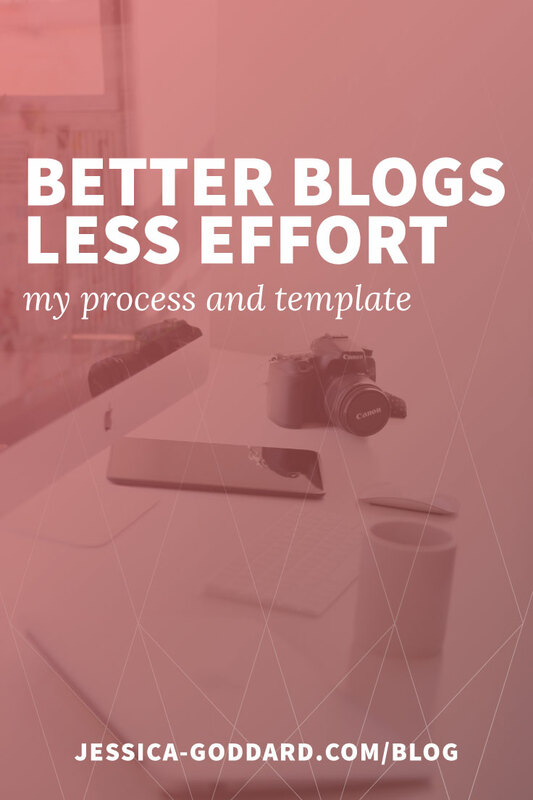 With a documented process and the right tools, I’ve managed to find my blogging stride. Today I’m going to share it all with you, in hopes that you can also find your mojo. Whenever I thought about starting a blog a few questions popped into my head. What should my first post be!? What if I don’t keep up with it? What if it’s just really bad? To alleviate this pressure I decided I needed to start hard and fast – with a sprint. For three weeks I wrote a blog post every weekday. Instead of feeling like I had one first blog post, I had several (of varying topics)! I scheduled the posts to be published the week after I wrote them so that I’d have a buffer in case something came up that kept me from writing one day. As for the quality of those first posts? Not my best work, but the beautiful thing about blog posts is I can go back and improve the shabby ones (which I’m currently doing). After writing every day for three weeks I took a step back and started writing three blog posts every Monday. Now, I’m writing one blog post per week so I can focus on marketing as well. I manage my blog process, from idea to completion, in Trello. My first list is the dumping ground for all of my ideas. I color code them based on topic (or blog category) to make sure I have a good mix. Cards in the Ideas and Up Next lists will often have preliminary outlines (checklists), notes, links to resources, etc. to help expedite the blog writing process when it’s time. As I go through the writing, pre-publishing, and publishing process I move the cards through the different lists (Outlines, Drafts, Graphics and Scheduling, Promoting, Done) to keep track of where I am with each post. Often I’m only working on one or two at a time so it’s pretty easy to manage, but I like the visual reward of moving the post across to the various lists. Posts in the Done column include due dates (the date the blog post was scheduled for publishing) and images (to quickly see what I’ve posted recently. Remember that “White Screen of Panic” I mentioned at the beginning? Well, this is where overcoming that reaction comes in. To make sure I never start with a plain white screen I’ve created a blog template that I use for every post. When I first started writing blog posts I would just “wing it” and write the whole thing at once. Now I create outlines first because I’ve discovered it makes the actual writing process go so much smoother and results in much more cohesive posts. In my blog template, I include a starter outline. It reminds me to include an introduction (hook the reader), a body with 3-5 main points, and a conclusion with a call-to-action. So, maybe I’m late to the game, but I just discovered that there is an amazing Google Docs add-on that moves blog posts to WordPress WITH FORMATTING. Do you realize how huge this is? Before I would apply formatting in Google Docs then migrate and either clean up the messy HTML or paste as plain text and reformat. Now it’s one click and I’m set! Don’t use Chrome or don’t want to use Jetpack? There is at least one other plugin that allows you to do it easily, but I haven’t tried it. Once my blog post has been migrated to WordPress it’s time for final pre-publishing preparations. First, I set the date for when I’d like the post to be published. If I don’t do this first I will inevitably end up publishing the post immediately instead of scheduling it. Next, I select a category for the post, specify tags, and upload a featured image. Moving back to the post itself I insert the post image and set the alt text. I use the Grammarly extension for Chrome to check for any grammar and spelling mistakes that Google Docs missed and set up my click-to-tweet phrases with the Better Click to Tweet plugin. Moving my attention to SEO, I insert my keyword and description using the Yoast SEO plugin. Yoast then lets me know how SEO friendly my post is and I make any edits that I deem necessary. Finally, I prep my social media posts that will be published when the blog post is published using the Social Networks Auto-Poster (SNAP) plugin and schedule my Instagram post using Later. My process has changed significantly since I started, and I’m sure I will continue to refine my process and template. Following these steps has allowed me to focus more on social media and SEO than I was able to previously. Want to snag a copy of my Trello board and Google Docs template? I began using Trello ages ago, too long now to remember. It was the first system I used to start managing my work and my life. Then, a couple years ago I decided to jump ship to Asana. It provided the structure I felt Trello was lacking and seemed better for managing several projects. Today I’m back on Trello, and here’s why. Asana Premium is expensive. 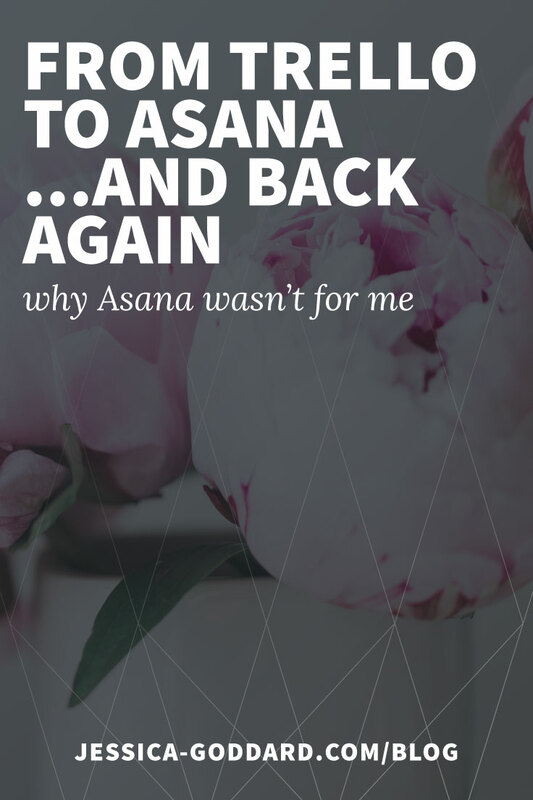 Asana has a free version which I was happily using for several months, then I decided to upgrade so I could get some more features like custom fields and adding clients as guests. When I decided to upgrade I misread the details and thought I was paying $6.25/month, a totally reasonable price. However, what I missed is that there is a 5 member minimum. As a solopreneur I would have to pay for 4 people that weren’t even using the system, making the total $31.25/month! This may be a drop in the bucket for some people, but it’s just not in my budget right now. Asana accounts are confusing. At some point over the past couple years I decided I was going to drop MOOSH and just use my name (nevermind on that one), so I had two email addresses that I was using for work at one time. When I decided to drop my name and keep using MOOSH I wanted to change my email address on all of my accounts. I found it near impossible to do this in Asana and even accidentally deleted my entire account (with ALL of my tasks) at one point! Thankfully support was able to retrieve an emergency copy for me, but I still haven’t figured out how to disconnect my other email address without losing everything. Asana was confusing for my clients. I have invited clients to use both systems with me and 100% of the time people that have used neither find Trello to be easier to pick up. Ultimately if I’m going to collaborate with my clients in a system it doesn’t matter what I prefer, I need them to feel comfortable using it so we can operate smoothly. I know there are multiple camps when it comes to the best project management system, but for now I am firmly planted in Team Trello. As my budget and scale increase I may find reason to reconsider Asana or check out other options, but for now I’m content. Business tools – I love business tools. I love checking out new tools and spending (too many) hours comparing all of the different features. I also like keeping costs down, so that is always a factor in my research and selection. 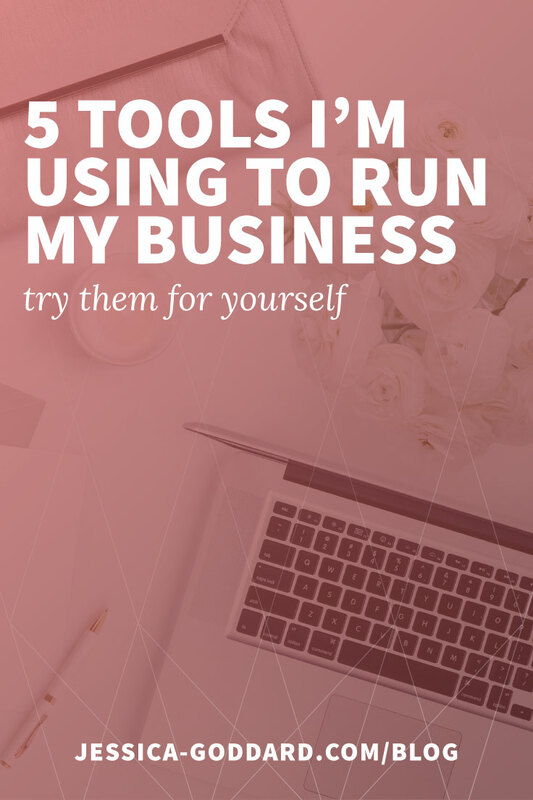 Here I’m going to share the tools I’m currently using to keep my business running, though I expect I’ll be updating this semi-regularly as my needs change. Trello has made quite an impact in recent years. It’s a tool that I used for a while, left, then came back to. I love that it packs so many great features for FREE and provides a lot of flexibility for organizing things the way I’d like. There are lots of great resources for using Trello effectively, and I recommend you check some out to get a feel for how Trello works and how you’d like to setup your boards. Another fabulous FREE business tool, this time keeping your finances in order. I tried the ever popular Freshbooks for several months but found the cost not worthy of the value I was getting. Wave has been great at helping me keep my expenses in order and automate invoicing. I don’t love the credit card fees, but I haven’t found a payment processor that doesn’t take a cut. Besides, getting paid quickly and easily is more important to me at this time. 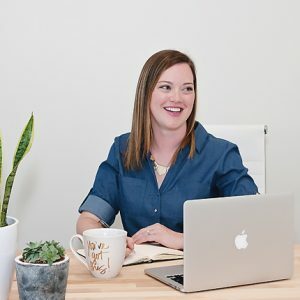 I pay less than $5/month so I can have my branded email address (jessica@mooshcreative.com) and all of the other great tools that come with G Suite. Mostly I take advantage of the email, calendar, and drive (documents). I love being able to keep everything organized and accessible wherever I am. I’ve never been very consistent with social media, but Later is helping me change that. I’m still using the free plan, which is enough for me with one Instagram profile, one Facebook page, and one Twitter handle. I’m not quite ready to sing the praises of this one, but I did find it relatively easy to setup and it has helped me post more frequently to Instagram. Finding the best time to connect with someone can be a little tricky. Calendly helps me specify when I’m available so I can spend less time with the back-and-forth and more time connecting and working. The free plan is enough for me at this time, but I’m willing to pay the $8/month for the next level up. So, that’s it! Those are the tools I spend most of my business admin time using. Look for posts containing more information about Trello as well as a peak into my design/development workflow in the coming weeks.